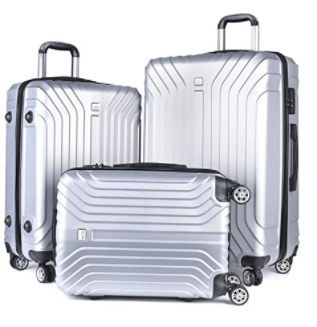 Coofit 3-Piece Luggage Set is made up of three hardshell spinner suitcases that are both durable and lightweight. Material that gives the hardness is the weather-proof ABS plastic which is known to be sturdy and durable for long-lasting use and the ability to protect your stuff from the rain. These three suitcases are currently not sold separately and you can only purchase them as a 3-piece set. The 20-inch cabin bag weighs 5.74 pounds, measures 14 x 19 x 21 inches with a 38-liter interior, that makes it good for use as cabin bag on your flights with any American and global airlines. And it should fit in the overhead locker easily and comfortably. The medium size 24-inch suitcase weighs 6.77 pounds, measures 16 x 11 x 25 inches, has a 60-liter capacity and should be checked in at the airport before your flight. 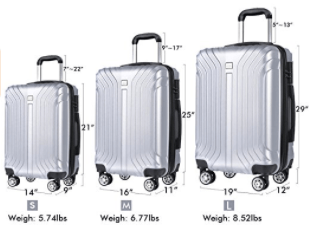 The largest 28-inch suitcase weighs 8.52 pounds with the dimensions of 19 x 12 x 29 inches, has a 93-liter capacity and definitely needs to get checked in. It is good for trips of long duration depending on how much you need to take with you. So they’re all lightweight and a rather spacious inside (more than what the exterior suggests) and you can fit in a lot of your stuff. They have a large zippered section on one side and straps on the other side to help keep your clothes in place and your stuff better organized overall. The light-duty, solid and wear-resistant dual spinner wheels roll silently and smoothly in all directions. This means you can maneuver the bags even in tighter spaces and transport them very easily without much effort, by holding their chrome retractable telescoping handles with push-button comfort grips that lock at three steps. Locks that are located right next to the large horizontal handle are TSA approved and ensure extra security and protection. TSA staff at the airport will not need to break the locks of your bags to get in, to check the contents etc. 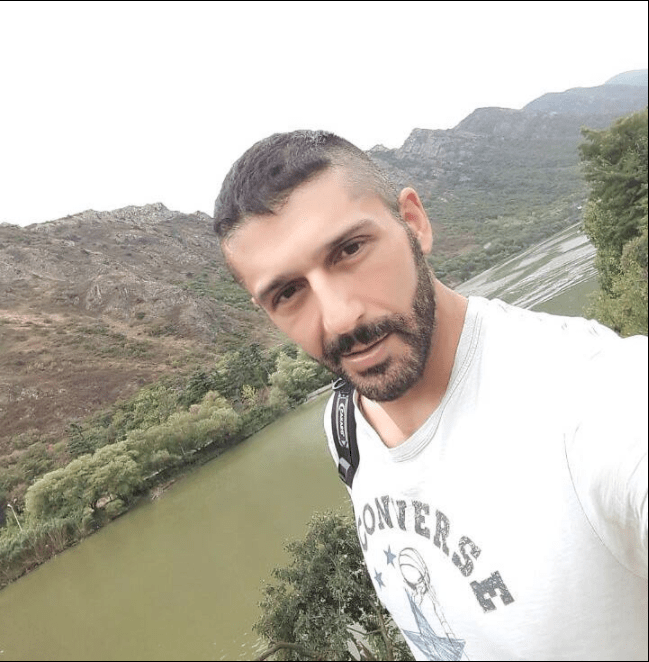 You will receive the bag with the lock preset to 0-0-0 and it is very easy to reset it to a combination of your choice, with easy instructions available in the box. The bags are good quality, lightweight, spacious, durable, functional with zippers that work very nicely and are offered at an affordable price. With a bright silver color, you’ll be able to pick it easily among many bags and suitcases on the carousel at the airport. With two handles one on the side and one at the top, you can hold the bag the way you want, whichever feels more comfortable. You shouldn’t really have any problems with it and you’re getting pretty good value for money.